The Internet of Things smells like opportunity for everyone. There is no industry that hasn’t been touched by the notion of smart “things” enabling convenience or collaboration or control in every aspect of our lives. From healthcare to entertainment, from automotive to financials, the Internet of Things is changing the way we work, live and play. That’s the view from the consumer side, from the perspective of someone using the technology made available by <insert vendor/provider here>. But before that consumer could get their hands on the technology -and the inevitable accompanying “app” that comes with it – the provider/vendor had a lot of work cut out for them. Whether it was building out licensing and activation servers, a remote-based control application, or a data exchanging service, the provider of this “thing” and its supporting ecosystem of applications had to design and implement systems. One of those systems is inevitably related to storage and retrieval of data. That’s because a key consideration of nearly all “things” is that while they pack quite the computing punch (as compared historically to mobile devices) they are still constrained with respect to storage capabilities.These devices are generating more data than most people can fathom. “Globally, smart devices represented 21 percent of the total mobile devices and connections in 2013, they accounted for 88 percent of the mobile data traffic. In 2013, on an average, a smart device generated 29 times more traffic than a non-smart device. Globally, there were nearly 22 million wearable devices (a sub-segment of M2M category) in 2013 generating 1.7 petabytes of monthly traffic”. Not only are the things themselves incapable of storing the vast quantities of data generated in the long term, providers/vendors are unlikely to have the spare storage capacity readily available to manage it. Even if they do, it’s a rare organization that has in place the controls and multi-tenancy necessary to support the storing such data with the privacy expected (and demanded) by consumers. Add to that the reality that they’re small and portable and often dropped into the most inconvenient of places by their owners (or their owners’ children) and the result is a need to ensure off-thing storage of data. Just in case. 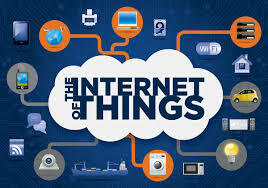 What that means is the Internet of Things is driving the use of HTTP and solidifying its status as the “new TCP”. Things communicate with applications to store and retrieve a variety of data. This communication is generally accomplished over the Internet – even though it may start out over a cellular network – and that means using the linga franca of the web, HTTP. Additionally, HTTP is ubiquitous, the market for developers is saturated, and support for HTTP is built into most embedded systems today.